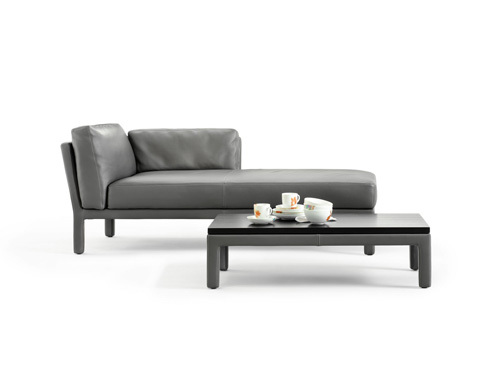 The Ella living room furniture comprises a sofa, a chaise longue, an armchair, a stool and two low tables. 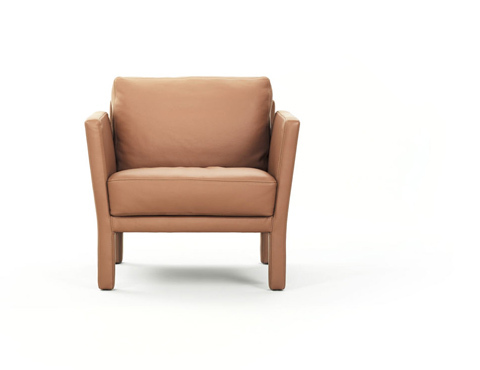 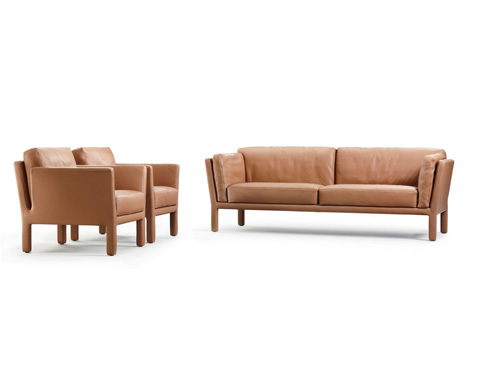 They are characterised by their formal, leather-upholstered frames, inside which soft leather cushions provide a luxurious comfort. 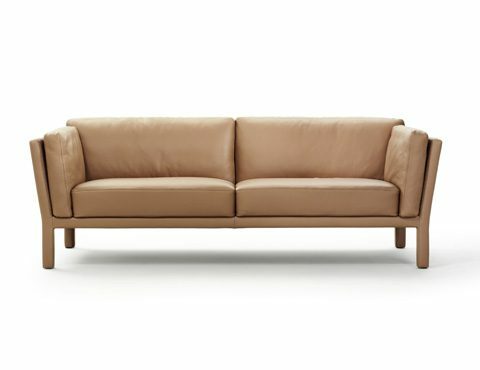 This comfort is further emphasised by the spring-loaded sides of the sofa which give ever so slightly under the pressure of a reclining body. 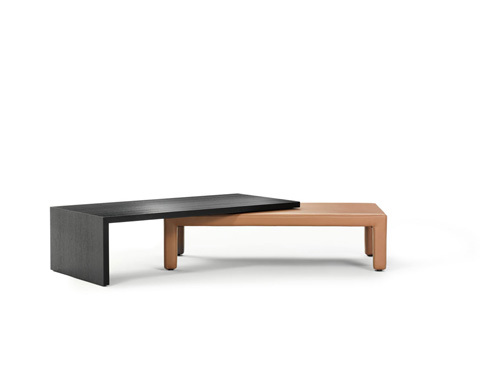 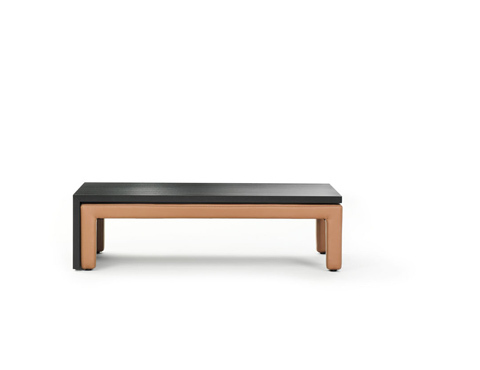 Its companion table slides open to reveal a leather surface beneath its wooden exterior, and can be configured in a number of different ways.